Сегодня я покажу вышитый мной фрагмент чайного робина. И открытку, которую я сделала со штампом от Lyn. Сделать я ее хотела давно, но без приключений у меня ничего не бывает. Открытку я все равно сделала по принципу "лучше поздно чем никогда". Для открытки использована бумага для пастели, нежно любимая мной бумага из набора "the photo stack 2" от DCWV, бумага с рыбками из местного магазина, ленточка и шармик. Желаю вам всем поймать свою большую рыбу )). Удачи и спасибо за визит. Lovely tapestry and the card is so cute. Thank you for your always lovely comments over at my blog. I see you like making cards...Desire is wonderful isn't she? 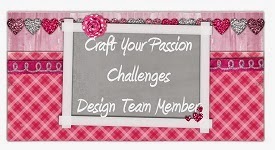 You can use card sketches at Let's Scrap, too! О, yes! I sincerely admire works of Dezire and it very charming lady! 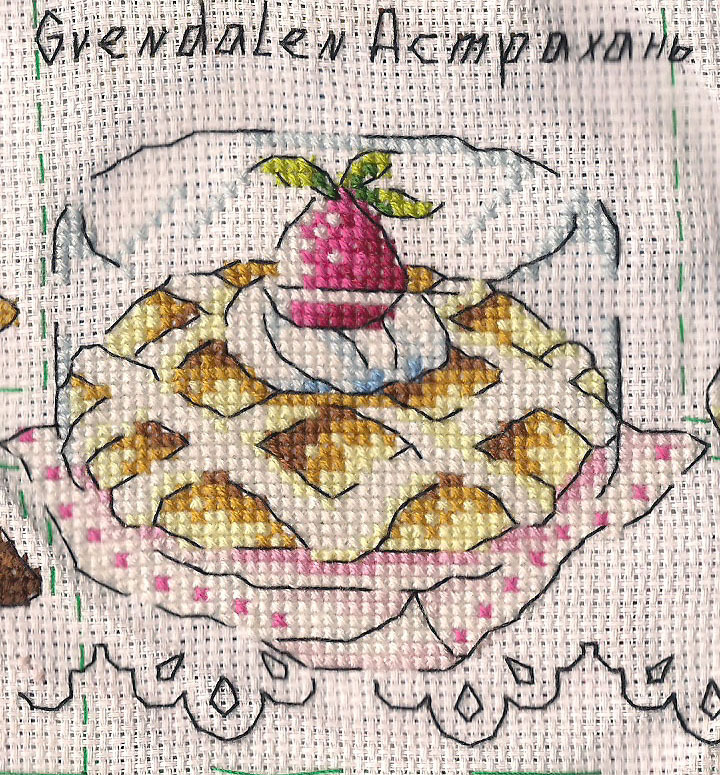 I love your needlework and your card is just too cute. 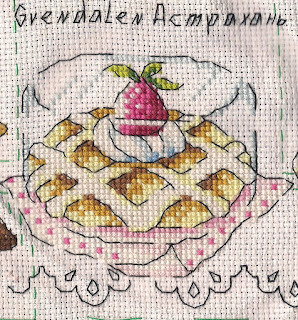 Gvendalen you have done a beautiful job on your needle work and your card is just too cute. WOOOW This is so beautiful.Really beautiful Artwork. Thank for your regularly visits on my blog. PS: Thank you for the birthday wishes for Sophie, she had a fab day! Your embroidery is lovely, Helena!! Your card and kitty are just too too cute for words! Love your creativity! Beautiful embroidery and I love the very cute card. Just wanted to say thank you for your always lovely comments over at Doing Life. Lovely projects. Great work on the colors and designs. Thabk you helena for your loyal visits at my blog and your lovely \comments. What funny that you see my new picture. Thanks for the compliment. 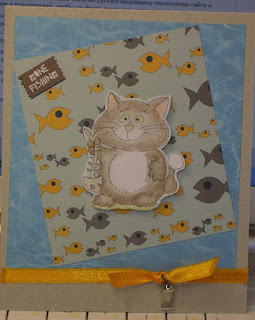 Helena, your embroidery is so pretty and it was lovely to see Friendly Fergus the fishy cat! I may have to borrow him!